Which also means it’s True City Conference time. Gohop and True City have enjoyed working closely together for the last few years, learning how to pray together for the good of the city. Check out this fantastic promo video to find out more about the conference! Last year we launched a week of 24/7 prayer from the conference, but we had a BIG PROBLEM! Too many people in the prayer room we set up at the Vine! (shucks darn) We had hundreds of people come, from over 41 churches, over the course of the week. So this year we’ve decided to host 2 weeks of 24/7 prayer, which I guess, technically, is 24/14. Why pray in a prayer room instead of in the comfort of your own home? Check out this video that was produced for last years conference to find out..
Also, if you look at the online calendar you will notice that we’ve got some slots marked “Heartwatch” and “Attentive Meeting” or “Contemplative Prayer”. Those are times of corporate prayer where we are exploring some of the ancient paths of Christian meditation, contemplative prayer, Lectio Divina, and Taize worship, so if you want to try something new-to-you but also something ancient, come join as at those times! 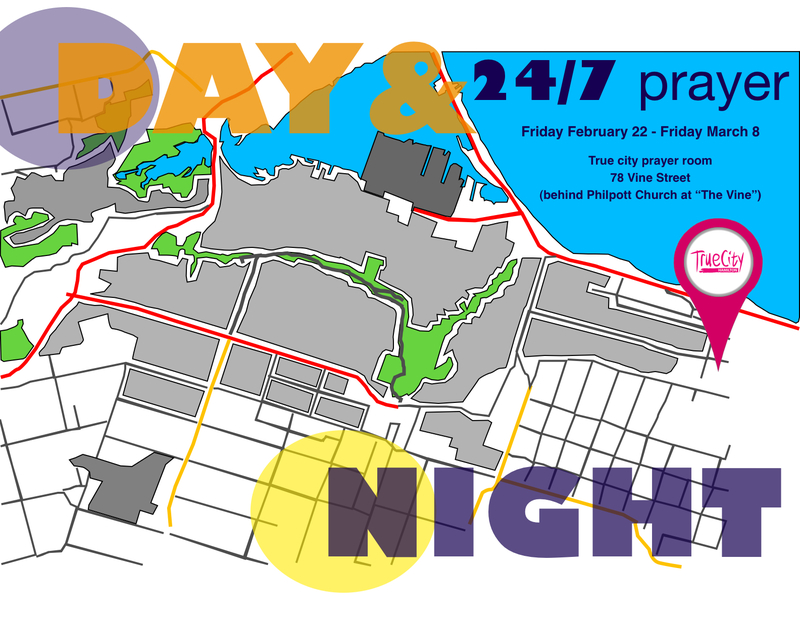 Finally, we are having an all night worship – Fire in the Night – in the prayer room Friday night March 1. Worship starts at 10 pm and goes straight through till 6 am! Bring some coffee, and come keep the fire burning!